From art classes at Parker Monart to exciting performances at the Parker Arts Culture & Events Center, Pradera residents don’t have to travel far to enjoy the arts. Parker Artist’s Guild invites you to A Solo Exhibition of abstract works by Tadashi Hayakawa on October 4th from 5-8 p.m. Be sure to attend the special artist’s reception for Origin II. From now through October 31, the Draft: Ekphrastic Art show draws our attention to how “art and poetry collide,” demonstrating the ways in which artists have responded to literature and incorporated its profound influence into their work. Don’t forget the artist reception and readings on October 6th from 6-8 p.m.
How about encouraging your little artist? Check out the wide variety of Monart classes and camps provided for students ages 5 and up. 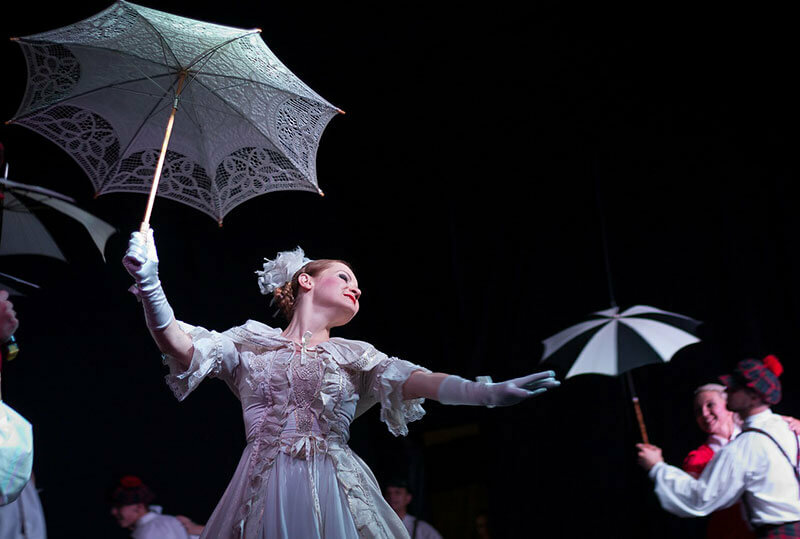 The Parker Arts Culture & Events Center (PACE) offers a full schedule of shows and events this fall, including South Pacific, Opera Colorado’s touring production of “Cinderella,” and Wonderbound: Celestial Navigation presented by the innovative American dance company. Interested in supporting Parker fine arts? Check out Behind the Curtain: Dinner on Stage, an intimate evening of cocktails and appetizers served – you got it – back stage! The event will be held on October 24th, 6:30-8:30 p.m. in the PACE Center Mainstage Theater. Bring the family to the jazz filled Big Bad Voodoo Daddy on November 25th. Their swingin’ tunes will usher in your holiday spirit! Celebrate the holidays and local arts at A Classic Parker Holiday presented by the Parker Chorale and the Parker Symphony Orchestra. Enjoy a night of holiday carols, traditional songs, and community talent! While enjoying these cultural events, Pradera residents can take advantage of their wonderful dining options. Meet up at the Club at Pradera before your night on the town and enjoy the recent upgrades. Whether it’s the arts, theater, or music, there is plenty to experience in Parker.